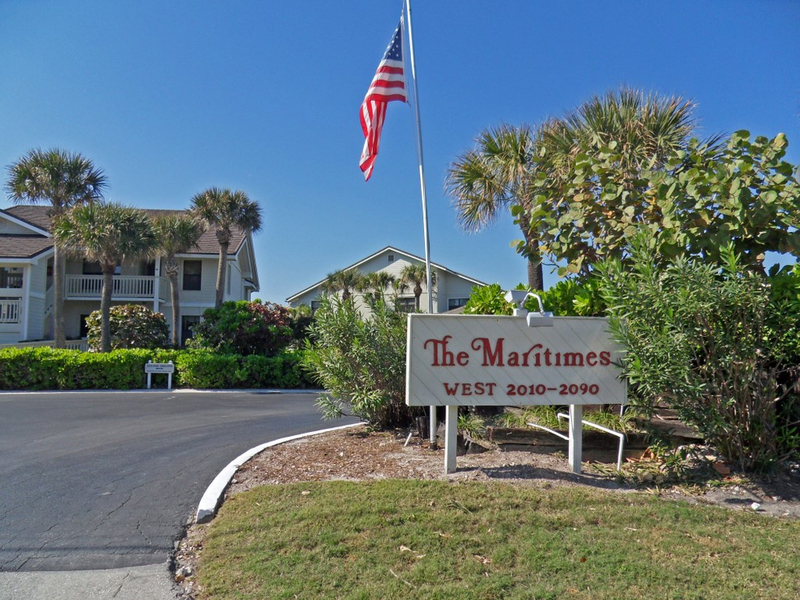 As of April 2019, there is only 1 condo on the market in the Maritimes Condos and Townhomes on Hutchinson Island in Stuart FL. The list price is $525,000 or $339.81 per sq. ft. of living area. There are two Maritimes condos or townhomes currently under contract. Their list prices were $375,000 and $420,000. This is an average list price of $397,500 which works out to $236.43 per sq. ft. of living area. These condos were on the market for an average of 102 days prior to going under contract. There have been only 2 condos sold in the past 12 months in the Maritimes. The sales prices were $319,500 and $378,000. This is an average sales price of $348,750 which equals $227.78 per sq. ft. of living area. These condos sold for an average of 96% of the listed price and were on the market for an average of 404 days before going under contract. The Maritimes is one of the prime ocean to river communities on South Hutchinson Island in Stuart, FL. 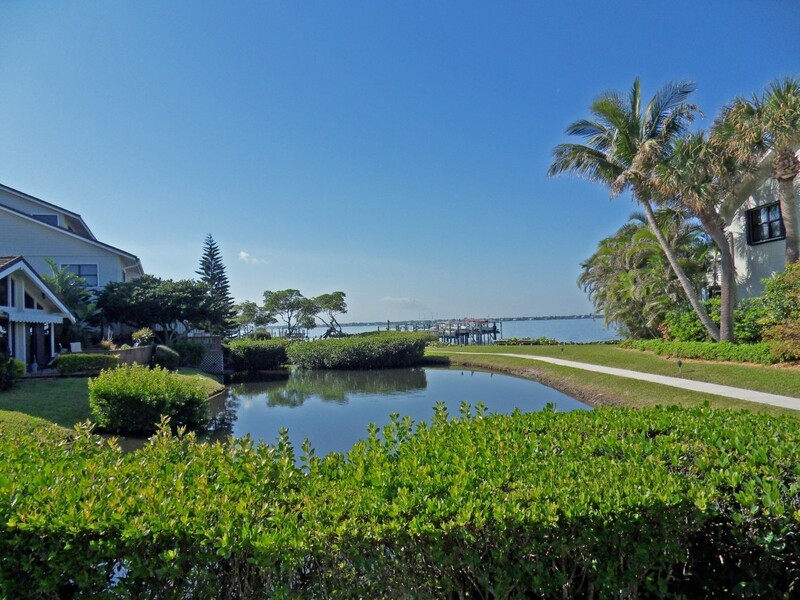 Offering larger than normal homes on both the river and Oceanside settings. The riverside (or Maritimes West has a lovely private sandy beach with kayak storage for those not wishing to play in the surf or for those days when it’s a bit windy on the beach side. The Oceanside (Maritimes East) has private beach access as well as a heated pool when you’re finished frolicking in the crystal clear waters of the Atlantic Ocean. The Maritimes condos were constructed between 1975 and 1988. With the oceanfront units being built first. Living square footage range from just under 1300 sq. ft. 2 Bedroom condos with over 2100 sq. 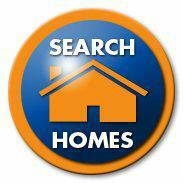 ft .condos and townhouses with 3 Bedrooms plus dens and a garage. For March 2019, there are 3 condos for sale in Bayview. These condos are listed from $380,000 up to $650,000. This is an average list price of $490,000 or $327.56 per sq. ft. of living area. There is 1 condo under contract and awaiting settlement. The list price was $435,000 which is also $316.59 per sq. ft. of living area. This condo was on the market for 12 days before going under contract. In the past 12 months, 9 condos have sold in Bayview with sales prices ranging from $230,000 up to $680,000. The average sales price was $420,472 which equals a $285.42 price per sq. ft. of living area. Sales prices averaged 94% of list price ratio with these condos staying on the market for an average of 69 days prior to accepting the last offer. Bayview in Indian River Plantation is one of the newer condominium complexes on Hutchinson Island in Stuart Florida. 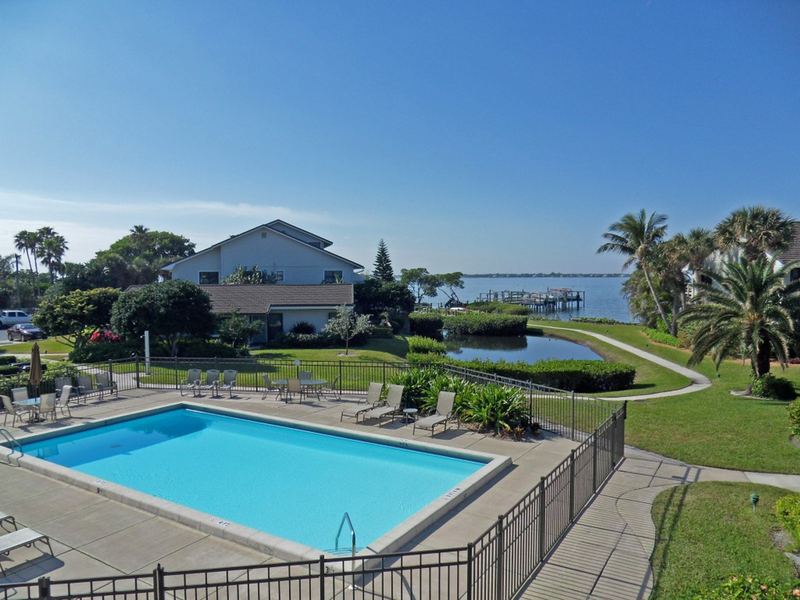 Bayview is a gated sub-complex of the Indian River Plantation Marriott Resort and consists of 4 semi-circular buildings totaling 129 3 bedroom, 3 bathroom and 2 bedroom, 2 bathroom condos. Living space ranges from 2,105 sq. ft. to 1,204 sq. ft. 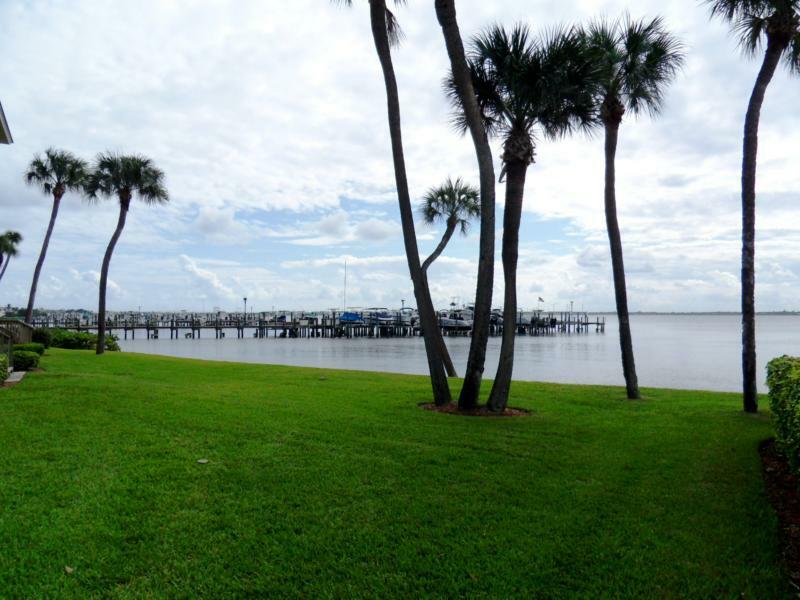 Most units have sweeping views of the Intracoastal Waterway also known as the Indian River. Great location only minutes away from the Saint Lucie Inlet. 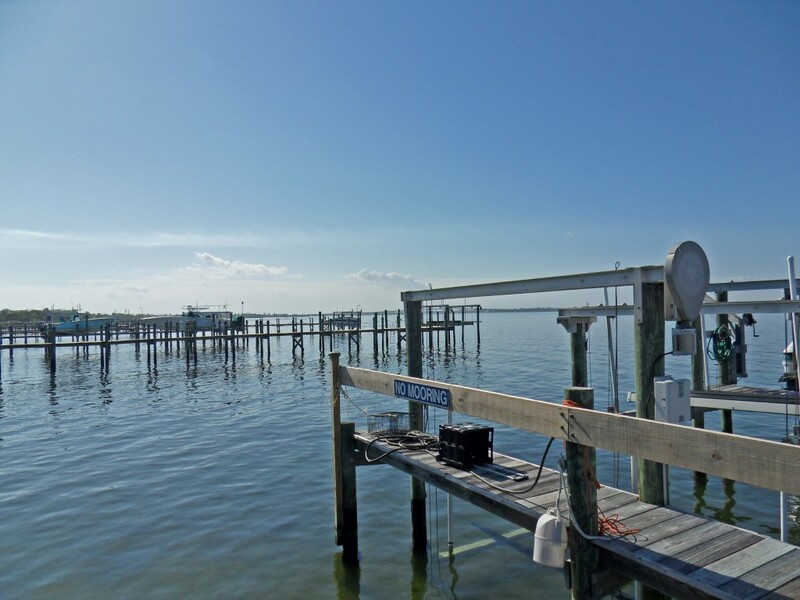 For boaters, there’s a full-service Marina located on the grounds of the Indian River Plantation with slips available for lease. Bayview has a private heated pool and spa overlooking a lake as well as lovely manicured grounds for picnics or just a stroll by the water. There’s also covered parking for all residents. Unit owners have the option of joining the Marriott Beach Club which allows access to an 18 hole golf course, another community pool and fitness center, professional tennis club and courts as well as access to a private beach resort on the shores of the Atlantic Ocean. 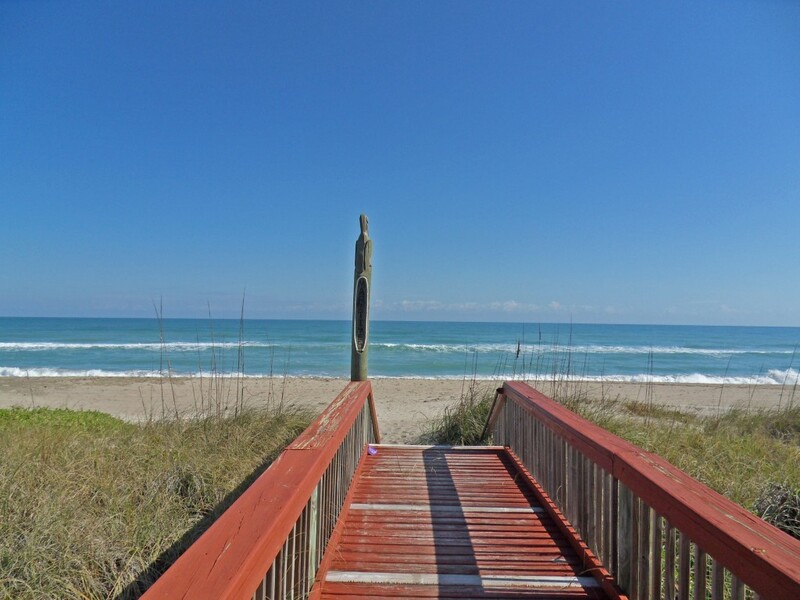 For March 2019, there is one home for sale in Moon River on Hutchinson Island in Jensen Beach FL. This home is listed for $489,000 or $202.82 per sq. ft. of living area. There are no Moon River homes currently pending (under contract). 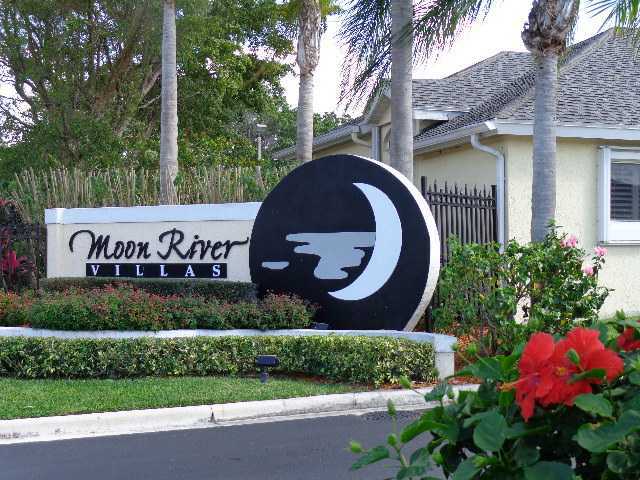 There has been only 1 home sale in the past 12 months in Moon River. The sales price was $297,000 which equals $217.74 per sq. ft. of living area and this home sold for 101% of list price. This home was on the market for only 11 days before going under contract. Moon River is a community of 51 attached and 3 detached homes that were built from 1998 to 2003. 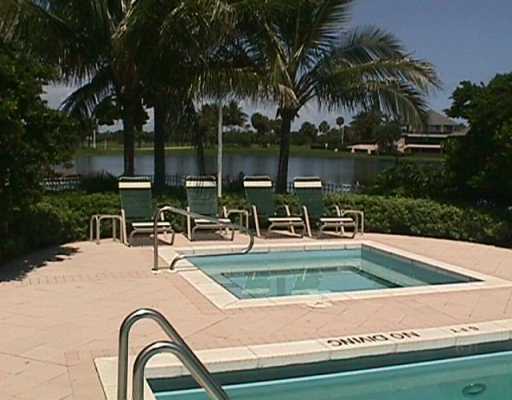 This is a gated waterfront community with ocean access docks as well as a community pool and clubhouse. 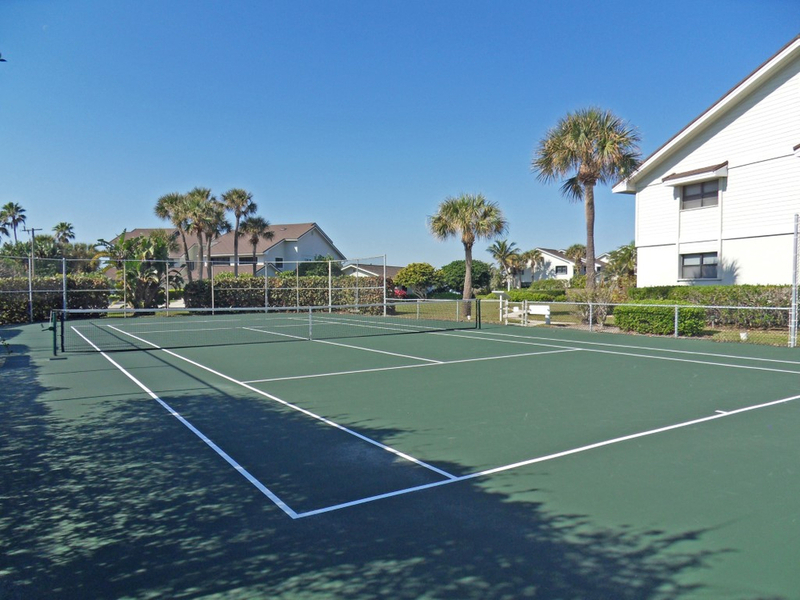 Two tennis courts are also available and shared with the neighboring community of Fairwinds Cove. Home sizes range from 3 Bedroom, 3 bathroom two story homes with over 2.700 sq. ft. of living area down to 2 Bedroom, 2 bathroom, 1 story homes of just under 1,400 sq. ft. of living space. Most of these homes have 2 car garages with a few actually offering covered parking for up to 4 cars. This is a pet-friendly community allowing for up to two pets that are no larger than 50 lbs. HOA fees at the time of this post were $343 per month (payable quarterly). Moon River lies on the east side of the Jensen Beach Causeway in Martin County Florida. It’s only a short walk or bike ride to the public beach on the Atlantic Ocean. It’s also close to shopping, restaurants and the remaining wonderful amenities that Martin County has to offer. Moon River is an excellent choice for both full-time residents and for those wishing to have their winter oasis away from the cold north. 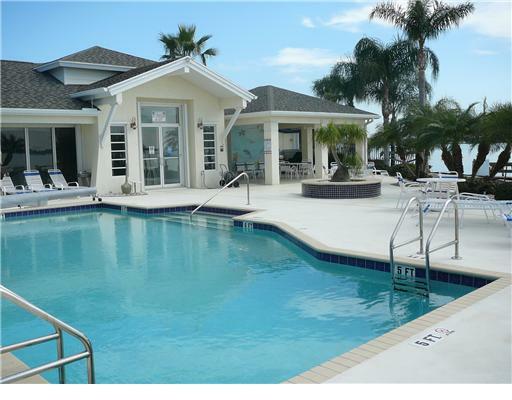 There are currently 6 condos for sale in Sandpebble. The list prices range from $275,000 up to $670,000. This works out to an average list price of $377,150 which is $315.19 per sq. ft. of living area. There are 2 Sandpebble condos currently under contract. The list prices were $319,000 and $324,000. This equals an average list price of $321,500 or $311.53 per sq. ft. of living area. These condos went under contract in an average of 20 days after being listed. In the past 12 months, 12 Sandpebble condos have sold. Sales prices ranged from $275,000 to $450,000. This is an average sales price of $343,292 which works out to $281.50 per sq. ft. of living area. These sales averaged 97% of list price and went under contract after an average of 53 days on market. 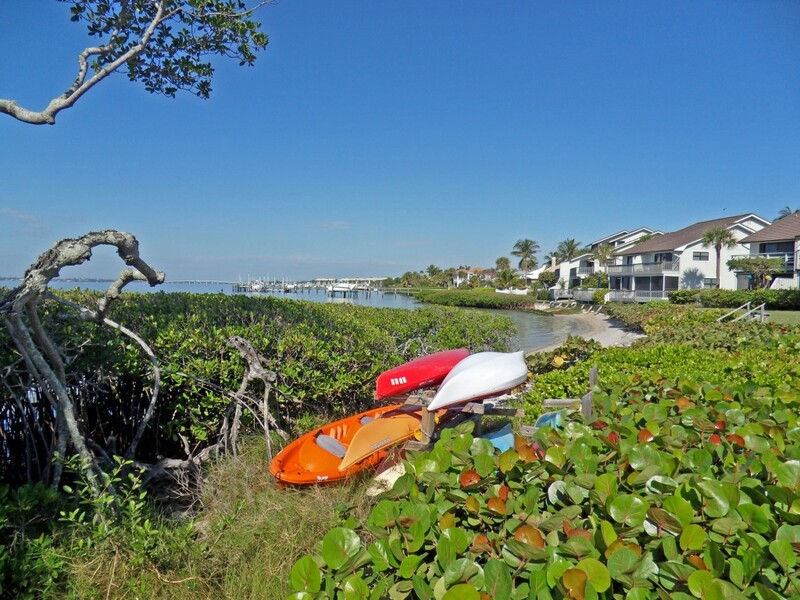 On the beautiful and unspoiled portion of South Hutchinson Island lies one of the best-kept secrets in Martin County. 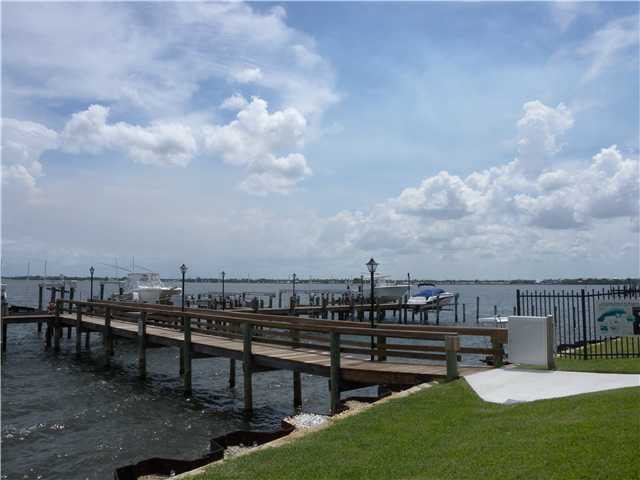 Located on a pristine 37 acres that reach from the Atlantic Ocean to the Indian River (Intracoastal Waterway). 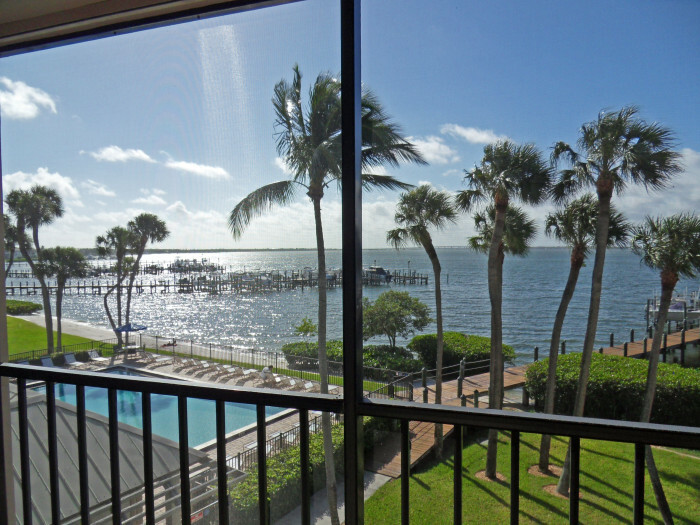 Sandpebble Condos consist of 3 Ocean Front Buildings and 7 River Front buildings. A total of 5 heated pools (3 riverside and 2 ocean side), along with deep water docks for 66 vessels. Docks are available to residents only on a first come first served basis and are available for lease at a very reasonable $1.50 per foot per month. On the spacious grounds, there is plenty of green space for outdoor activities, two hard court tennis courts and a fully equipped clubhouse with kitchen and on-site management. Both Oceanside and riverside sections are gated for secured entry only. Residents have the use of both the river and Oceanside sections regardless of the location of their own units. Construction of the Sandpebble complex began in 1982 and just recently all buildings were completely refurbished with metal roofs, Hardi-Plank replacement for exterior wood surfaces, complete concrete (re-bar) restoration, the installation of a bulkhead protecting and enhancing the river-side property and structures, updated landscaping and the painting of all the buildings. For additional information and availability of Sandpebble Condominiums and other attractive Oceanfront Homes, Condos or Vacant Land, contact Gabe Sanders. 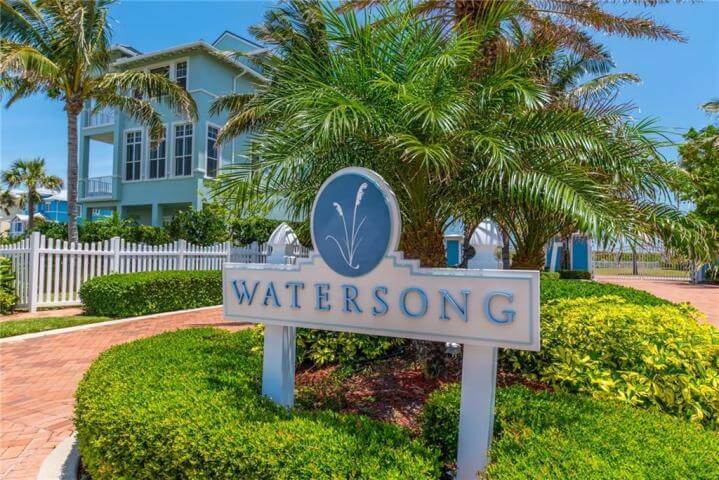 As of February 2019, there are 10 vacant lots and 6 single family homes available to purchase in the Watersong Oceanfront community on Hutchinson Island. List prices for the lots range from $79,900 up to $399,000 which is an average list price of $280,690. There are no vacant lots currently under contract. In the past 12 months, there have been 8 vacant lot sales in Watersong. The sales prices ranged from $82,900 up to $277,450. The average sales price was $154,356. These lots went under contract in an average of 214 days on the market and sold for 82% of list price. The homes are listed from $749,000 up to $1,999,599. This is an average list price of $1,433,600 or $418.76 per sq. ft. of living area. There is one home under contract. It was listed for $1,750,000 which is $377.48 per sq. ft. of living area. This home was on the market for 96 days before going under contract. In the past 12 months, 1 home has sold in Watersong. The sales price was $1,920,000 which equals $411.13 per sq. ft. of living area. This home was on the market for 84 days before going under contract and sold for 97% of list price. Currently (August 2018) the $250.00 a month HOA fee covers the common areas, reserve funds, management fees, and landscaping. There is also a one-time $6,000 capital contribution for beach renourishment and or replacement that is collected by the Property Owners Association.